In the present study, we aim to assess the prevalence and certain psychological and other correlates of orthorexic tendencies: health and exercise behaviors and demographic variables among gym attendees in Hungary. Altogether, responses of 207 gym attendees who filled out an online questionnaire (03/2017–10/2017) were analyzed. The mean age was 31.9 years; most were female and college educated, and about half resided in the capital city. Frequencies and means were calculated for the sample; and univariate linear regression and ANOVA were carried out. Finally, multivariate linear regression was used to assess the relationship between the dependent variable (Orto-11-Hu) and the independent variables (Eating Disorder Inventory, Maudsley Obsessional-Compulsive Inventory, health and exercise habits, and demographics). The mean score for the Orto-11-Hu was 27.7. In the multivariate analysis, two eating disorder characteristics (drive for thinness and interpersonal distrust), age, exercising more than once a day, and yoga practice were significantly associated with higher orthorexic tendencies. There was a lack of correlation between any obsessive–compulsive traits. 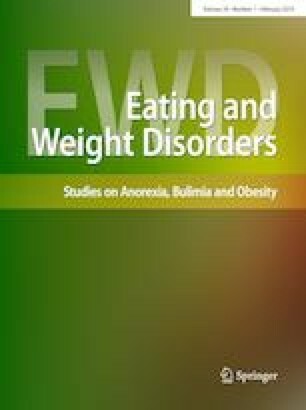 Our data suggest and overlap between certain eating disorder traits, and a link between ON and frequent exercising and younger age. Further research is needed to investigate whether these correlates are found not only in a specific fitness-oriented population, but also in the general population. Dr. Edit Czeglédi for the consultations she provided when analyzing the data in SPSS and Dr. Ferenc Túry for his mentorship. EB recruited the participants and collected their answers; analyzed and interpreted the literature and data; and wrote the manuscript. DK and SzZs helped with data analysis and interpretation and provided comments to the manuscript. AGy designed the study’s statistical model, supervised and contributed to the writing of the manuscript. This study was approved by the Hungarian Medical Research Council in January 24, 2017 with the reference number of 3563-1. All participants were informed at the first page of the questionnaire that the survey is voluntary and anonymous.